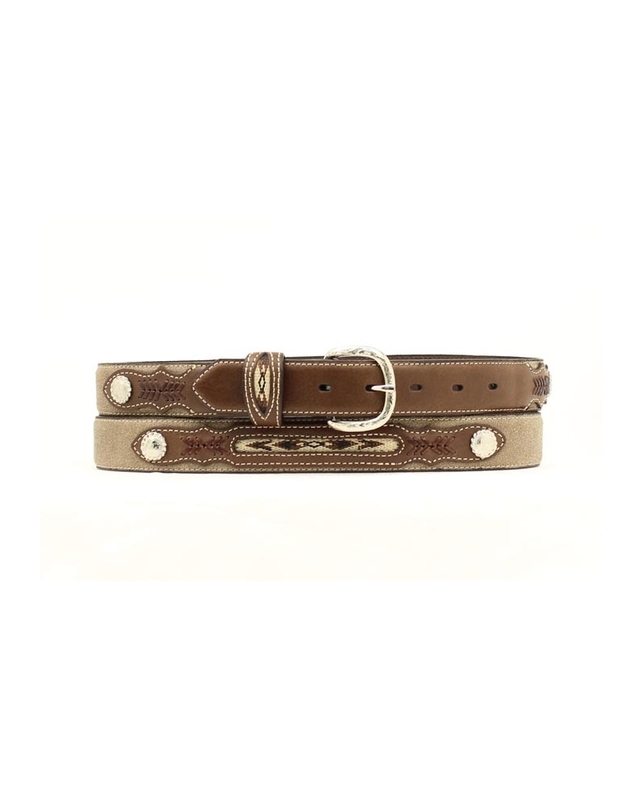 Nocona Boys Belt - 1-1/4"
This boys Nocona belt by M&F Western Products ® is perfect to give your little one that western look. It features a brown distressed strap with a fabric inset for a very grown up look. It also comes with an interchangeable silver buckle.